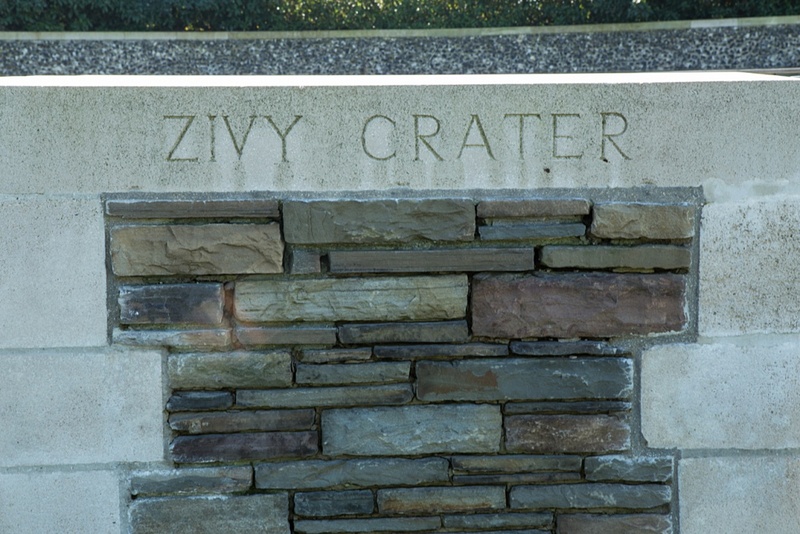 Zivy Crater (originally called CB1) is on the south side of the road from Thelus to Neuville-St. Vaast, to the south of Lichfield Crater. 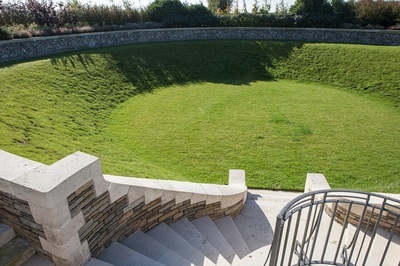 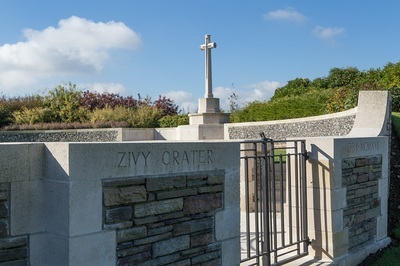 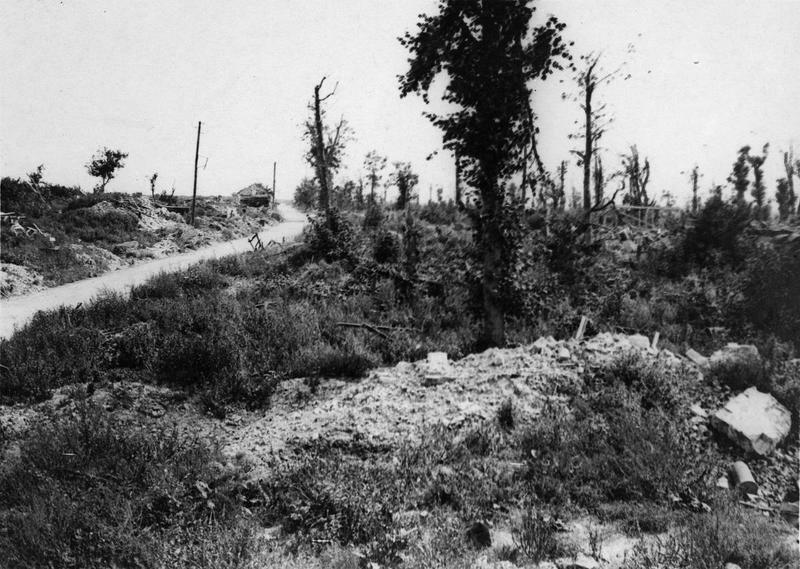 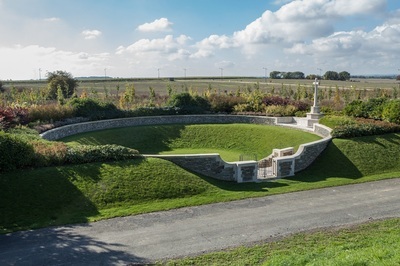 Zivy Crater was one of two mine craters (the other being Lichfield Crater) which were used by the Canadian Corps Burial Officer in 1917 for the burial of bodies found on the Vimy battlefield. 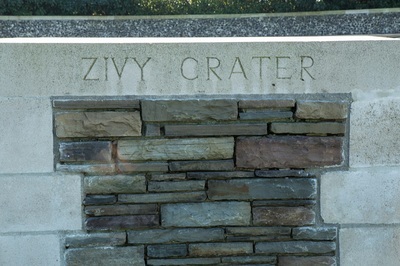 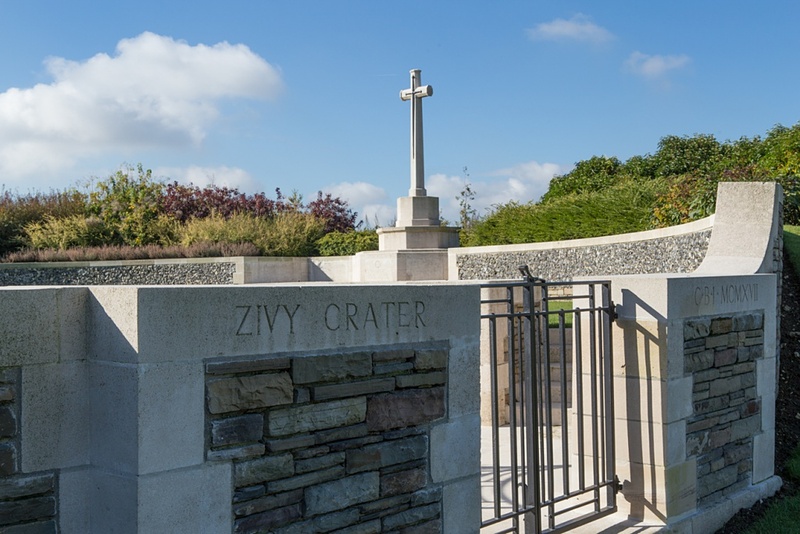 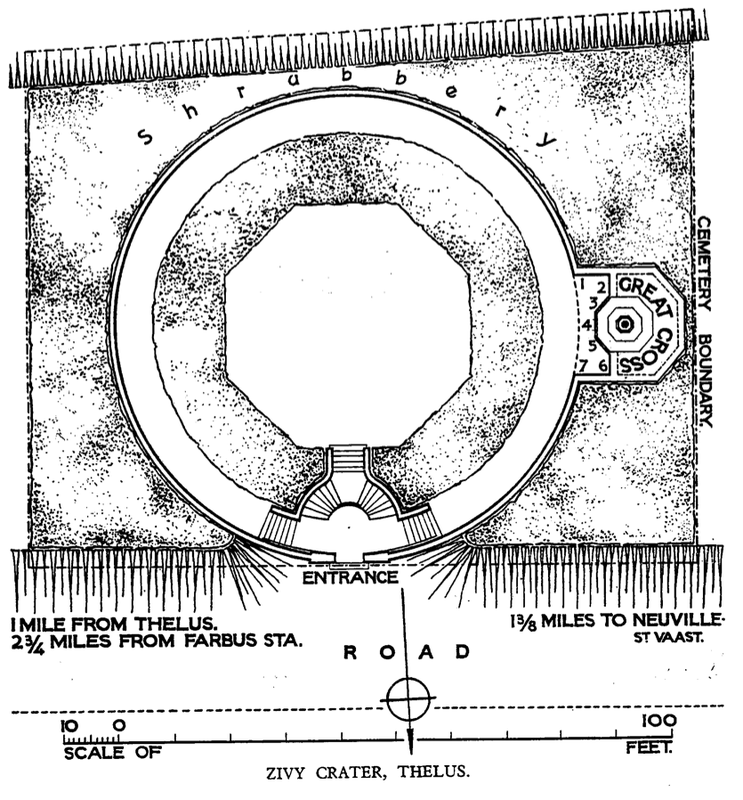 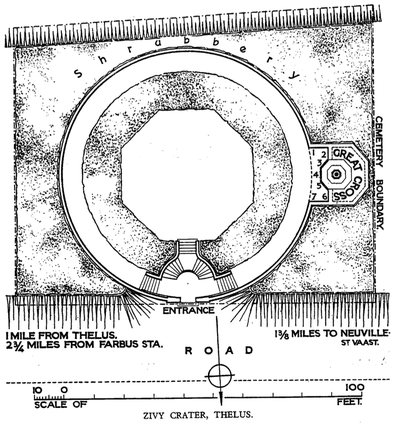 The numerous groups of graves made about this time by the Canadians were not named as a rule, but serially lettered and numbered; the original name for Zivy Crater was CB 1. 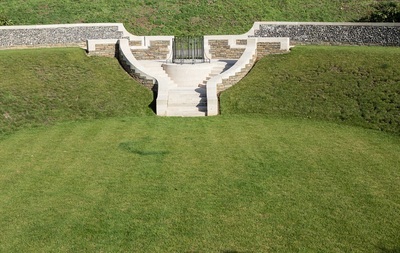 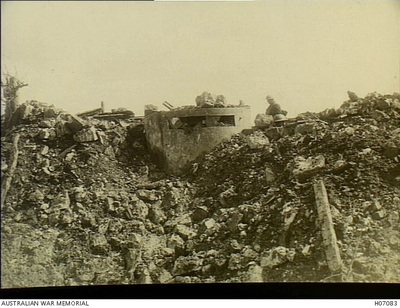 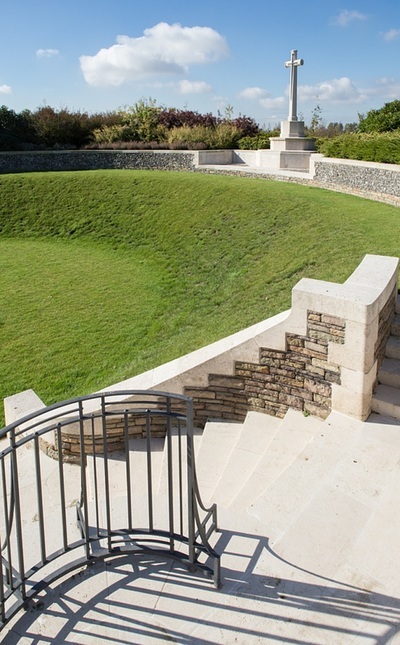 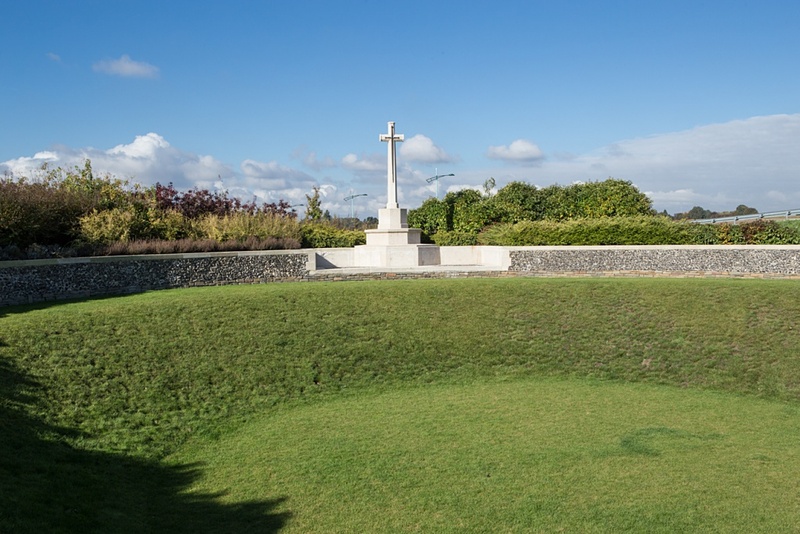 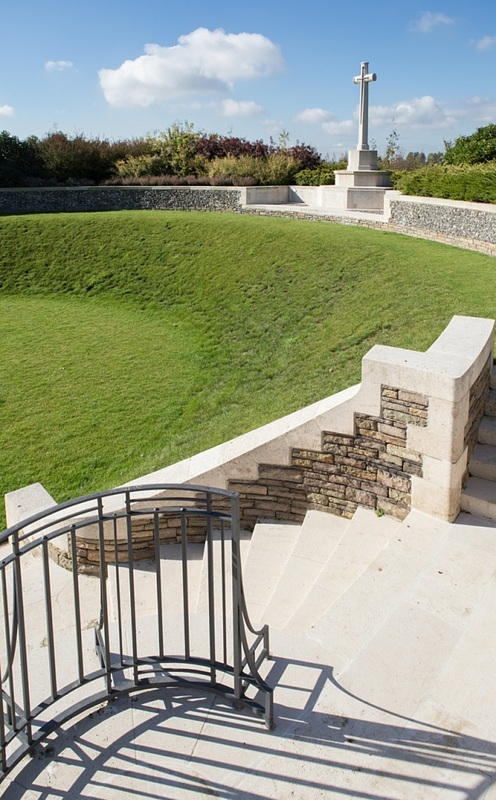 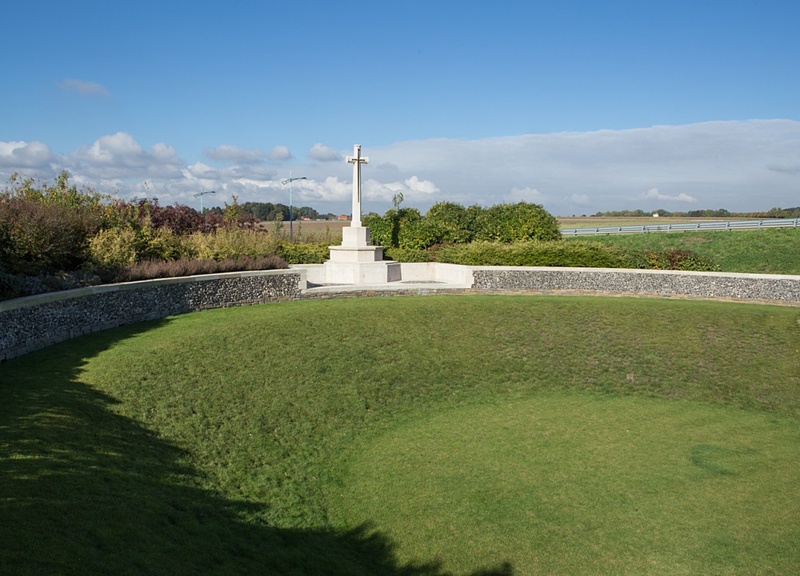 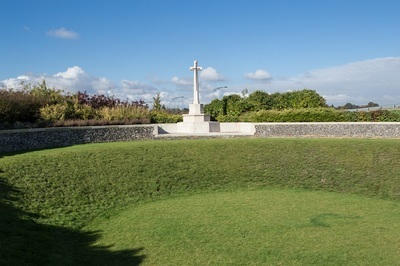 The crater is essentially a mass graves and contains 53 First World War burials, five of them unidentified. 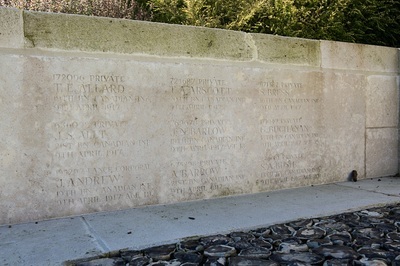 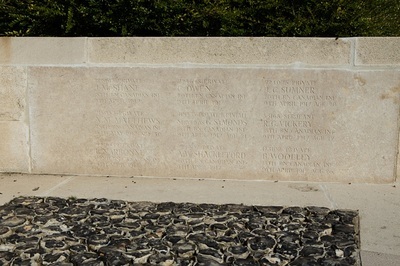 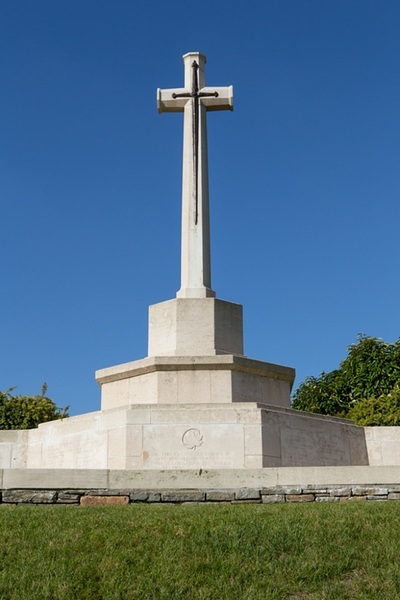 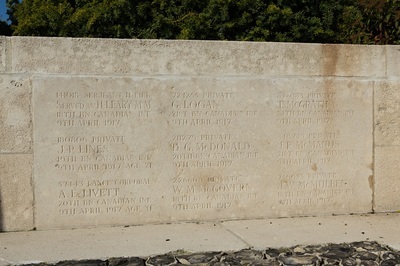 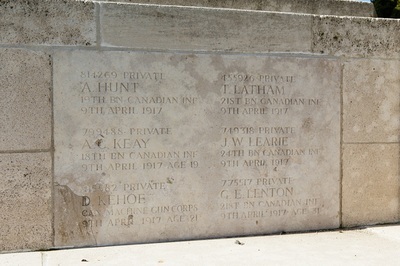 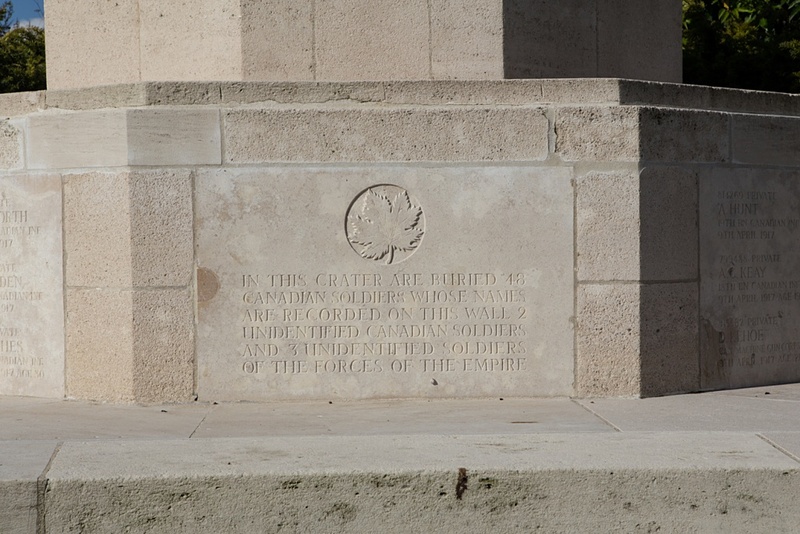 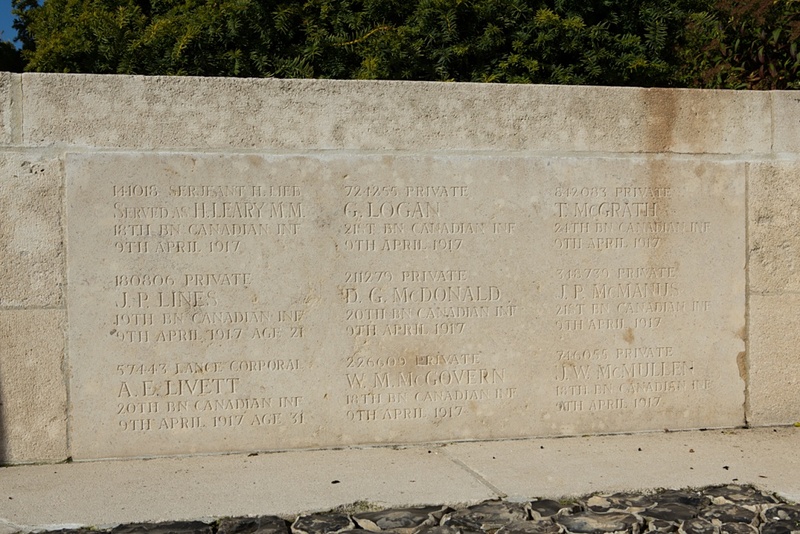 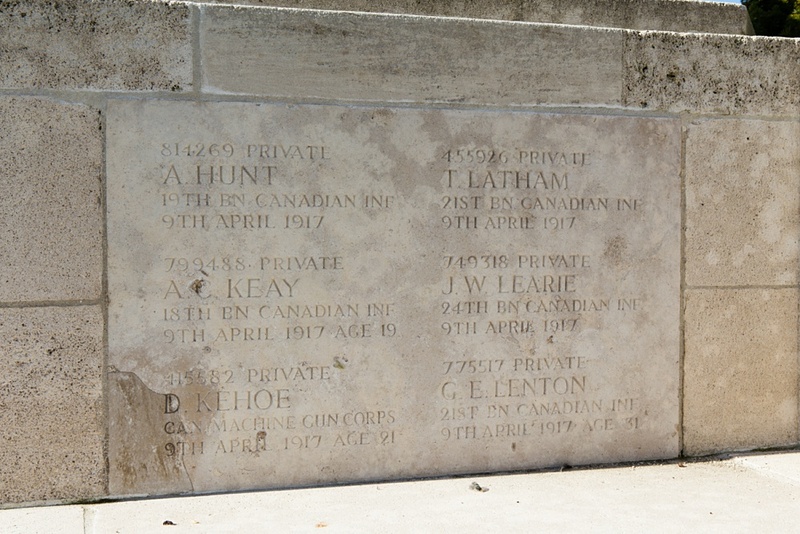 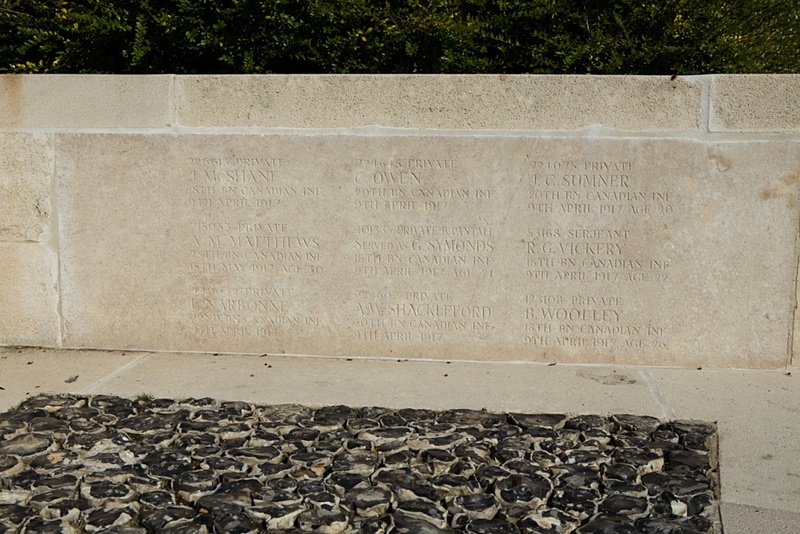 The names of the men buried in the crater, all of whom died in April or May 1917, are inscribed on panels fixed to the boundary wall.